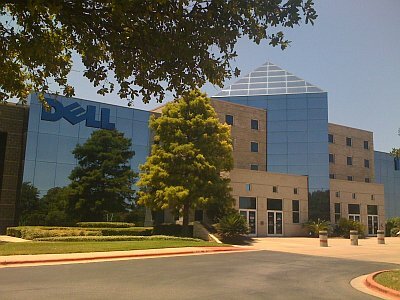 This afternoon I finished my first week at Dell. Needless to say it was a bit of whirlwind, but hey, I haven’t quit yet :). I spent the week trying to get set up — fighting with printers, getting used to Microsoft Vista, figuring out how to put my laptop to sleep etc. — as well as meeting with a slew of people who I will be working with going forward. On Day 2 the Datacenter Solutions group, which I’m a part of, had their second half of the year kick-off. It was a good opportunity to see where the group has come from and where they’re going. This team has done/is doing some pretty impressive things with some of the world’s most humongous cloud providers. 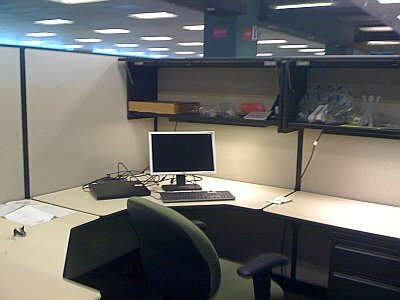 My cube at the end of Day 1. No phone but a laptop and monitor. 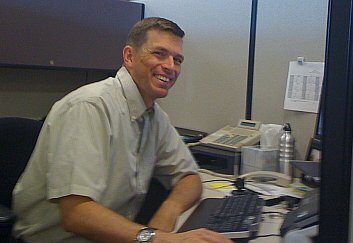 The folks I met with were both within and outside the Datacenter team. Outside of the Datacenter folks, I met with analyst relations, PR, members of Dell’s social media team, a former Sun compadre and even randomly ran into and had lunch with a neighbor. I’ve been very impressed with how friendly and nice everyone’s been. It will take a little while to learn the subtleties of the culture but it seems to be pretty WYSIWYG. Next week I’m in the office on Monday and then off with the Datacenter Solutions chief architect and a few people from Dell’s open source team to Cloud World/Open Source World/Next Generation Datacenter in San Francisco (the event formally known as Linux World). Dell has a keynote as well as a couple of talks and a booth. It will be a good opportunity for me to learn more about what Dell’s doing in the space as well as meeting with folks in the industry in my new role as Cloud Evangelist. 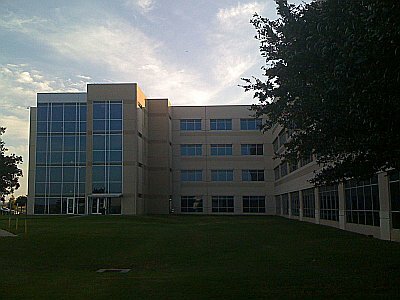 Building 1 on the Round Rock campus. One of the call centers for customer support. Teammate Drew, patent holder and product planner, who has the good fortune of sitting across the aisle from me. This entry was posted on Friday, August 7th, 2009 at 8:31 pm and is filed under Uncategorized. You can follow any responses to this entry through the RSS 2.0 feed. You can leave a response, or trackback from your own site.